If you think I am actually going to write about the film Bridesmaids you’re sadly mistaken. That’s not to say I don’t want to, no I would actually Love to. That is love with a capital L. The most buzzed? /hyped?/ talked-about? comedy of the summer written by Kirsten Wiig and Annie Mumolo is annoyingly still coming up on Google as “The Film Produced by Judd Apatow.” I know, it is still a fact but it’s grating nevertheless. Now if only London Transport will let me make it to the cinema I would be very grateful. 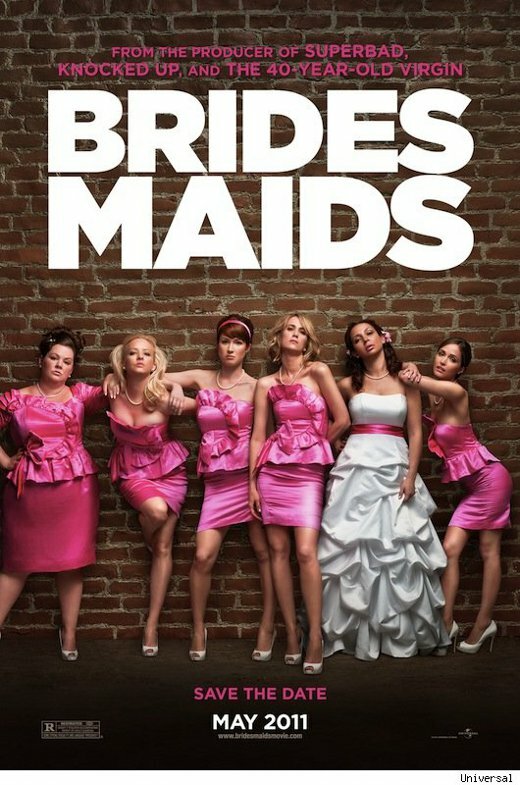 I had planned to go and see Bridesmaids two times now and every single time there was trouble on the Tube, making me miss the film. Last time there were queues outside the station, people standing on the pavement waiting to get in. That was over-egging it a little bit I thought.